A daily schedule or routine is a great way to get some predictability into your days. 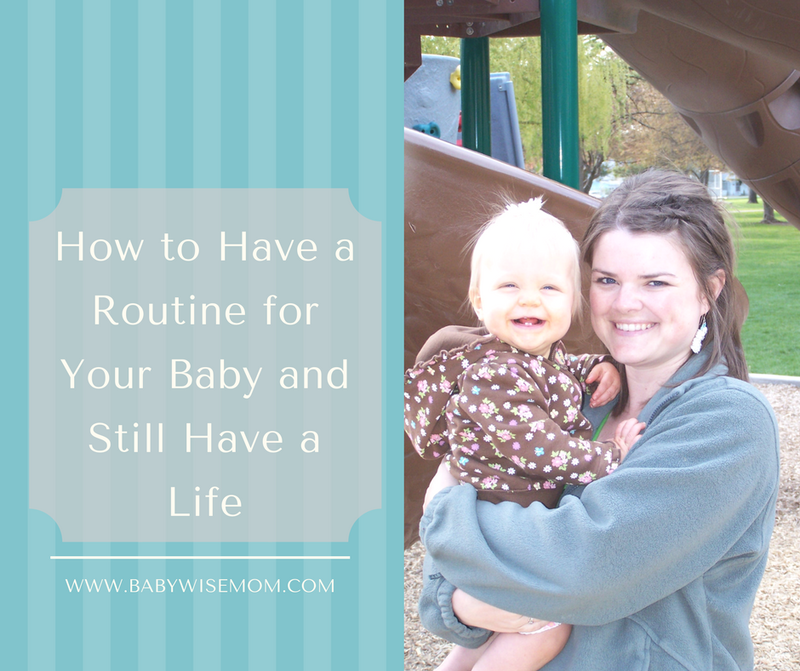 Ironically, the routine or schedule your baby on can really free up life for you. 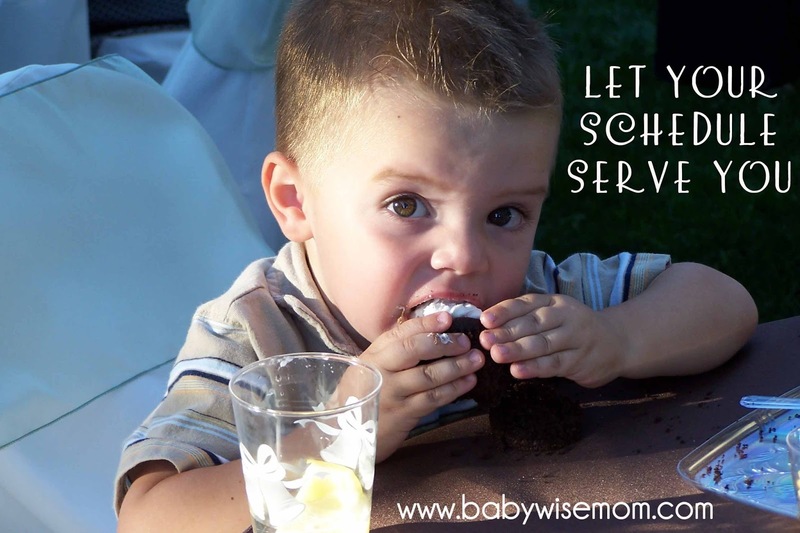 You can more easily commit to things when you know what your baby will be doing when. I remember telling people I had no idea when I could show up to something, but would do my best to get there. That was before my first-born had a daily schedule. Once he was on a schedule, I knew what to expect when was was able to set things like a lunch date with friend. It meant more freedom! There are some key elements you need to make sure you include in any routine or schedule you have with your baby. If you are going to have a routine or a schedule, you need to have a plan. 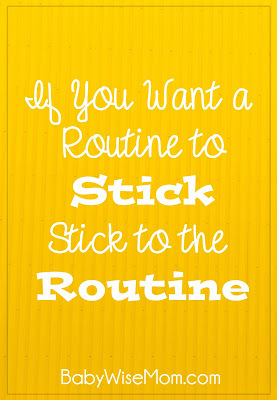 You cannot wing a routine or schedule. Write out what you want to happen each day. Allow room for adjusting as you go, but have a plan in mind when you start off. As time goes on, keep a plan in place. Always adjust as you need to and as baby grows and changes, but always have a plan. Each day, start your morning off at the same time. Pick the time your baby seems to be able to do and start there. A good number to start considering is 7 AM. Your baby might be more of a 7:30 or 8:00 AM waker. Maybe even later. Perhaps 7 is asking too much and 6:30 AM is more reasonable. Choose the time and then start your day at that time each and every day. You can have some flexibility. Allow 30 minutes variance. So if you choose 7 AM, your variance can be 6:45-7:15 or 7:00-7:30…but really aim for starting at the same time every single day. This might sound like torture to you. Every single day?!? What about weekends?!? I can’t express enough to you how much you will gain from having a consistent morning wake-up time. While you are working toward consistency and predictability, keep every day, even Saturday, consistent. As your child gets so days are predictable and nights are slept through, you can start adding some flexibility to certain days. Until then, it is essential you are consistent with your start of day. On the other end of the day, work to have a very consistent bedtime each day. Just as with the morning, pick a bedtime (I usually aim for 12 hours before my morning wakeup time). Stick with it as much as possible within 30 minutes. As you get to know your child, you might find that your baby needs more of an 11 hour night than a 12 hour night. Adjust as you get to know your baby. You absolutely cannot expect your baby to follow a predictable schedule or routine if you do not. You cannot be off-schedule more than you are on and get frustrated on those days you need baby to follow “the plan.” Consistency is key to having a successful routine. That doesn’t mean you can never have variance, but the variance needs to be the exception and not the norm. Babies vary in their ability to handle disruptions. Some need things super consistent from day to day. One messed up day will mean weeks of not sleeping well afterward. Hang in there! Try to keep your baby’s life super consistent so life can stay predictable. Things will ease up as your baby gets older. Other babies are super flexible and can handle changes without batting an eye. 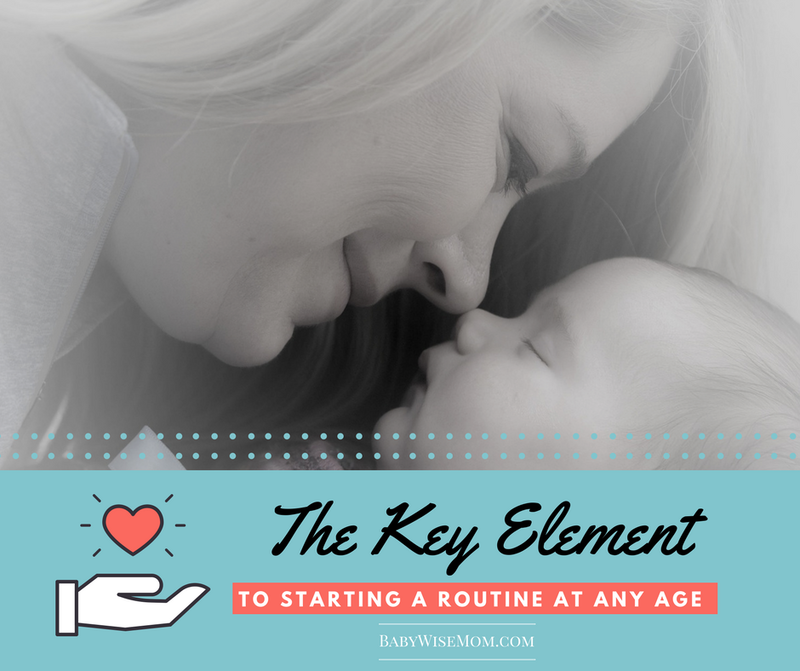 Get to know your baby and offer the level of consistency he/she needs. 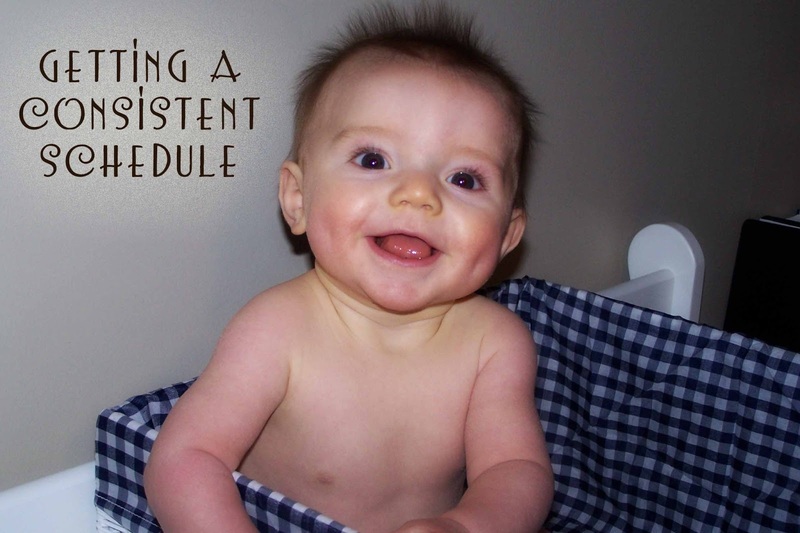 Most will greatly benefit from a solid two weeks of consistency as you create the precedent for what is “normal.” After that, give your baby the level of consistency he/she needs. I know it can seem like forever–like you will never again have a normal life. It will come! I promise. I have had the super flexible baby and the super inflexible baby. I know the days can get monotonous and hard. They will end and you will make it through. Babies and children grow, and grow a lot. They need regular meals so they can grow as they should. Be sure you are feeding as often as your individual baby needs. Work to have those feedings be regular and consistent from day to day. When you eat at the same time every day, your body gets hungry at that time each day. Consistency will pay off. Do not be afraid of allowing some flexibility in life. You can drive yourself crazy if you never allow for some variance in your schedule. Give your baby the consistency she needs, but be sure to take days when you need them to do something a little different. There you have it! 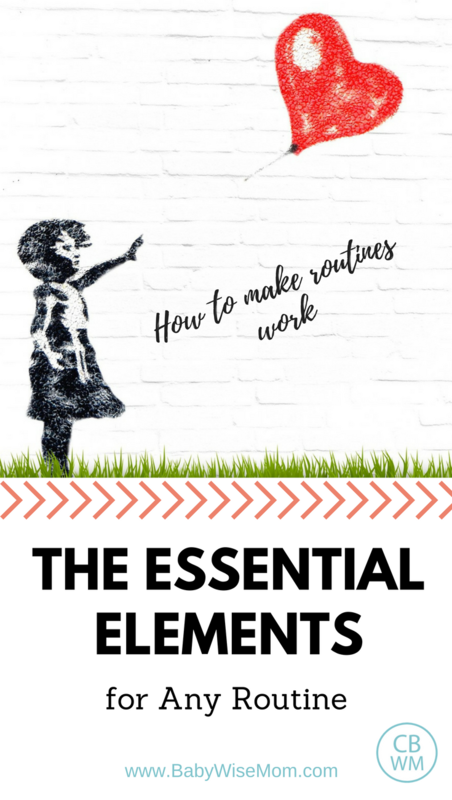 These are your key and essential elements to having a routine. 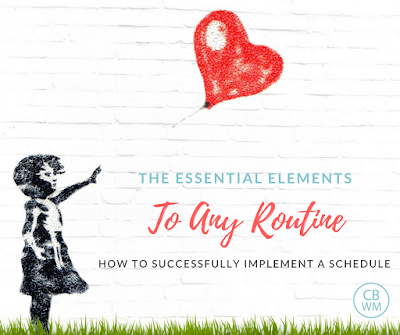 You need a plan, a consistent morning wakeup time, a consistent bedtime, consistency from day to day, regular feedings, and some flexibility so you can maintain sanity and add variety to life. No matter your chil’s age, these elements are essential. Younger babies will need more consistency than flexibility. Older children can handle more flexibility and won’t need things so consistent. Adjust as your child gets older, but always remember your key elements.